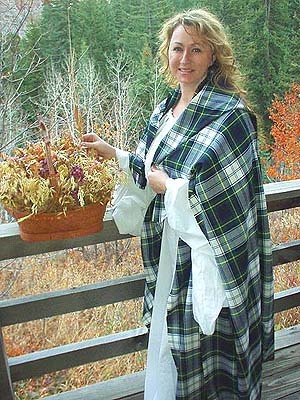 Misty Thicket Clothing: The Original Womens Irish Kinsale Cloak! Please enjoy this sample of our work (Item is No Longer for Sale). 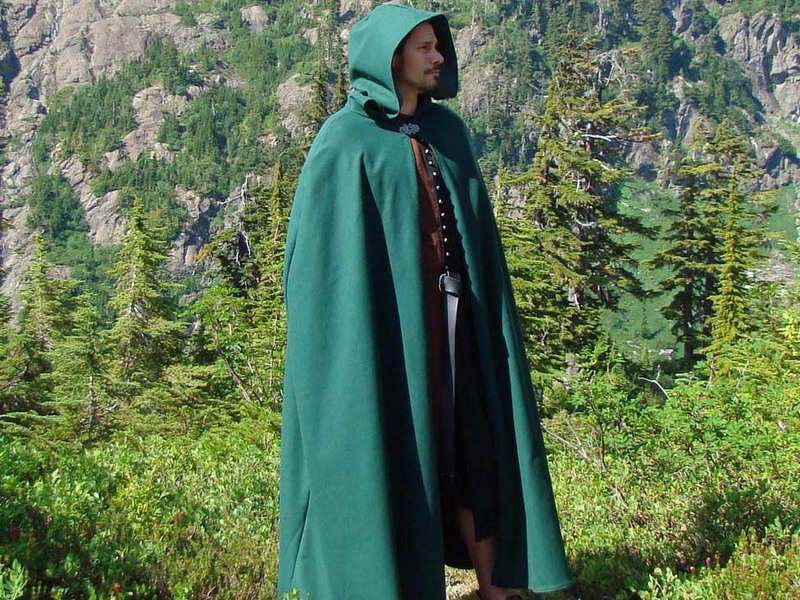 This gorgeous garment is known to the Emerald Isle of Ireland as the Kinsale Cloak. The cloak�s distinctive, gathered hood (fully detachable) ruffles beautifully to frame the face and adds a timeless, feminine grace to any outfit. 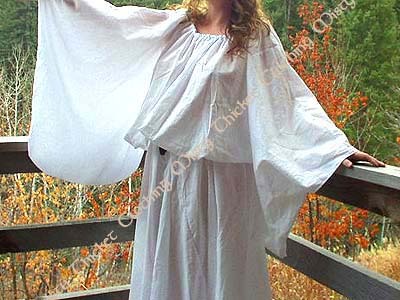 It also looks lovely worn down over the shoulders as a capelet, so you look wonderful coming AND going! 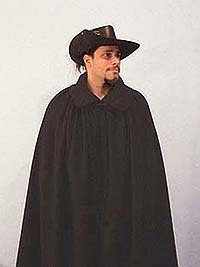 The Kinsale cloak is full enough to wear over a hooped gown, but not so voluminous that you have to struggle with yards and yards of fabric. The shoulders are slightly fitted so the neck won�t creep up on you and is fastened with a sturdy clasp that adds a beautiful organic style. The Kinsale cloak traditionally closes with two fabric ties and you can choose this option if you prefer (please indicate your preference at the end of sale). The Kinsale cloak comes with a lightly interfaced collar that is designed to hold its form while remaining supple. The cloak's fabric comes in a beautiful butter suede (black only) or winter-weight wool with a sumptuously smooth satin lining that will glide over your dresses and not get hung up on your skirts. All seams have been surged and finished and the inside neck edge expertly hand stitched to last for years. In different time periods, cloaks were worn at different lengths, but as a general rule of thumb they should never drop below the ankle. Customize Length, Deep Hood, Heavy Clasp, Your Color Wool! Customize Length, Wide Collar, Heavy Clasp, Your Color Wool!